Best Time to Visit: April to June and from November to February. Avoid travelling during monsoon months as the area is prone to landslides. Nature Park Gopalpur is naturally beautiful! 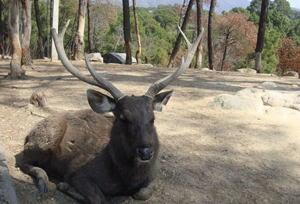 This is one of the best parks in Himachal Pradesh where wild animals are well preserved. Covered with dense bamboo trees, Nature Park Gopalpur is a natural habitat for many endangered animals. Wildlife aficionados will get a chance to observe the animals closely in their own habitat. The history of the area is full of folk tales and legends which make it an even more exciting place to visit. There is a tiny zoo enclosed in the sanctuary, which spans over 12.5 acres of land on Dhauladhar Mountains. The zoo complex houses a variety of fauna including leopards, black bears, red fox and various other varieties of deer. The natural forest of the Park are of the mixed deciduous type - Oak, Maple, Pine, Deodar, Walnut, Fir, Bamboo, Kali, Khair and Horse Chestnut are mostly found here. One can see some lush green fruit trees in the sanctuary namely apple, strawberry, raspberry and cherry. Every year Nature Park Gopalpur attracts large number of people, making it one of the most visited wildlife reserve of Himachal Pradesh. 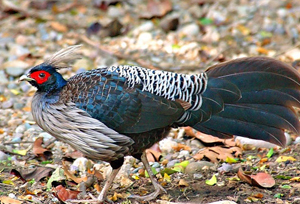 The wildlife reserve is an official home of birds, namely Kaleej, Cheer, Koklass And Monal; and animals, including Barking Deer, Musk Deer, Black Bear, Tiger, Hyena, Sambar, Wild Boar And Leopard. 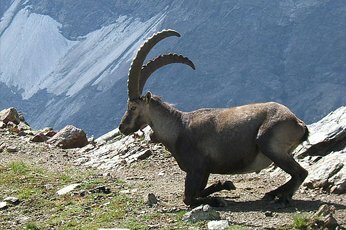 All these species can be barely seen anywhere in the Himalaya. Other than spotting animals, there are multiple things to sight including Chamunda Devi Temple (8 kilometres away) and the Buddhist monasteries at Dharamshala (13 kilometres away). If the tourist is a hiker and loves to indulge in thrilling activities, then Nature Park Gopalpur is the place to be. The trail from Taklech to Gopalpur is an amazing and wonderful route that trekkers can enjoy. There are a number of campsites here as well. Not only hiking and camping, people come here to enjoy Paragliding as well. Nature Park Gopalpur is a must visit place during winters as its land is covered with snow which simply looks impressive and charming. The park offers the magnificent landscapes, geographic wonders and diverse flora and fauna.